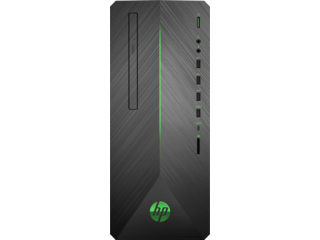 For cutting-edge graphical output and top-of-the-line performance to handle all of your favorite games, there is an HP gaming desktop waiting to take your experience to the next level. Professional league players or casual gamers who want won’t settle for anything less than the best will find something to love amongst our series of desktops designed with you in mind. 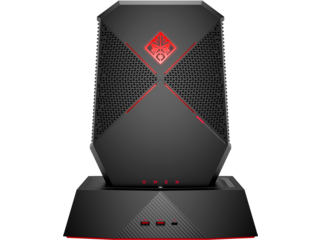 The OMEN series of HP gaming desktops offers a variety of choices tailored for gamers looking to tackle the competition without worrying about technical hiccups. Built with upgradability and customizability in mind, the OMEN 880 is among our best PC gaming desktops. Its sleek, modern chassis will make it stand out in any room. 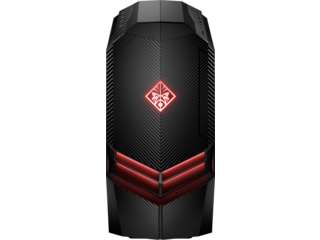 The OMEN 880 is powered by an 8th Generation Intel® Core™ i5 processor (with the option to upgrade to and i7-8700 or i7-8700K) and features between 8 and 32GB of memory, between 1 and 2TB of HDD storage, and a NVIDIA® GeForce® GTX 1060 3G graphics card, making it beyond capable of even the most demanding spec requirements. 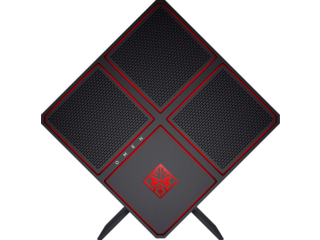 Professional competitive gamers can count on the OMEN to get them through even the most intense matches, and casual gamers can take comfort in knowing that their HP gaming desktop is providing pro-level quality. As the technical requirements of games becoming increasingly demanding, you can count on our best gaming desktop equipped with the latest hardware to keep up. Take immersion to an entirely new level with the HP OMEN + Mixed Reality Headset Bundle that includes the OMEN 880Rz HP gaming desktop and the HP Windows Mixed Reality Headset with controllers. Play the games you love in virtual reality for a truly transcendent gaming experience. The cost of PC gaming can be extravagantly high, but HP® offers competitive hardware without prohibitive cost. The OMEN 870 Desktop stands out among gaming PCs for its reliability and incredible power. With an Intel® CORE™ i5 or i7 processor, near-perfect image fidelity of NVIDIA® GTX™ graphics, and the option to overclock controls and water-cool the system, the 870 is one of the pinnacles of PC gaming. Pavilion Desktops bridge the gap between a high-end PC and a solid gaming system. This all-in-one offers the performance power of an Intel® Core™ i5 processor, NVIDIA® GeFORCE™ GTX graphics, and Windows 10 Home 64, but it’s not just about what’s on the inside. It also boasts a bold, angular body sure to accentuate any setup and make work and play unforgettable. You’re not only buying a high-end gaming desktop, you’re also getting a top-of-the-line, all-around PC. The ultimate gaming experience requires the ultimate gaming machine. If you take your gaming seriously, let an HP® gaming desktop enrich and elevate your virtual worlds like never before.